Meet Brian. 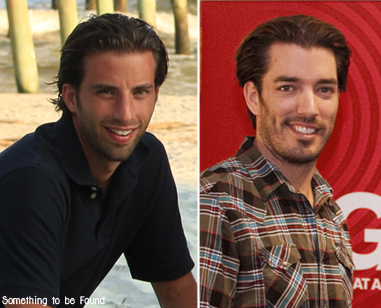 My Property Brothers-look-alike-brother. Jonathan & Drew Scott, if you stumble across this and you're interested in doing a kitchen renovation in Cleveland, holla' at me! Brian can help -- he'll be your long lost triplet. Fans will eat it up!! Advertisers will love it. Just call me. I NEED to get rid of these oak cabinets, stat!